In 1976 USSR celebrated 50 years of railways electrification. The first electric suburban line, the Baku-Sabunchi-Surakhany line, went into operation in 1926. "Baku-Sabunchi" electric suburban train. 1926. 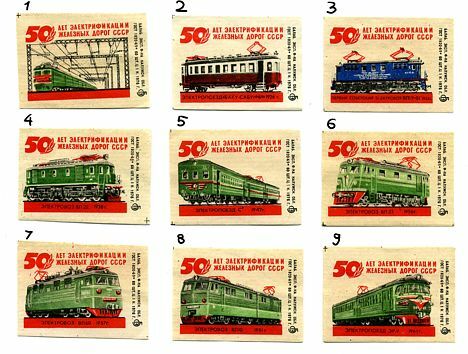 First soviet electric locomotive VL19-01 (VL means Vladimir Lenin). 1932. Electric suburban train SR. 1947. Electric suburban train ER-9. 1961.